"To say I'm an overrated troll, when you've never even seen me guard a bridge, is pretty unfair." 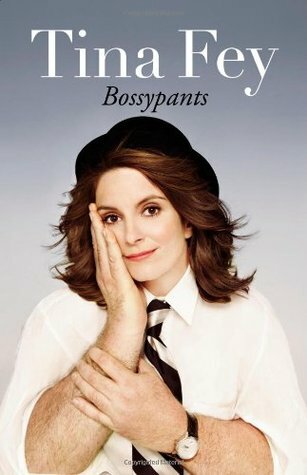 I wouldn't consider myself a huge Tina Fey fan. She was on Saturday Night Live before I was really old enough to watch it, and I've only seen 30 Rock a few times. Her spot on impression of vice presidential hopeful Sarah Palin is probably the only significant part of her work that I'm familiar with. Still, one dollar for a copy of her memoir Bossypants at my local used bookstore was too good of a deal to pass up. The book chronicles Fey's unlikely rise from awkward drama student to running her own critically acclaimed television show. The early portions of the book focus on her formative years and offer glimpses of the career that would follow. During high school she spent her summers acting and directing in a drama camp. The camps were usually made up of outsiders, all of whom Fey embraced and built lasting relationships with. Her stint with the Second City improv group after college introduced her to Amy Poehler and paved the way for her start with SNL. Interspersed with the mostly straightforward biography are one liners and tangents that illustrate Fey's gift as a comedic writer. She hilariously describes her struggle to balance life and work and the ridiculous added pressure of being a woman in a male dominated industry. No section illustrates this more than the part where Fey is at the height of her stint as Sarah Palin while equally stressing the smallest details of her daughter's birthday party. I think that is what I find most interesting about Tina Fey. She somehow manages to stay true to herself despite all of the absurdities of being a celebrity. This entry was posted on Friday, August 5, 2016 and is filed under 30 Rock,Bossypants,Comedy,Memoir,SNL,Tina Fey. You can follow any responses to this entry through the RSS 2.0. You can leave a response.